online shops that I discovered lately. six fashion capitals from around the world - LA, NY, London, Paris,.Milan and Tokiyo. Each catwalk city represents a certain style and offers clothing, shoes and accessories. 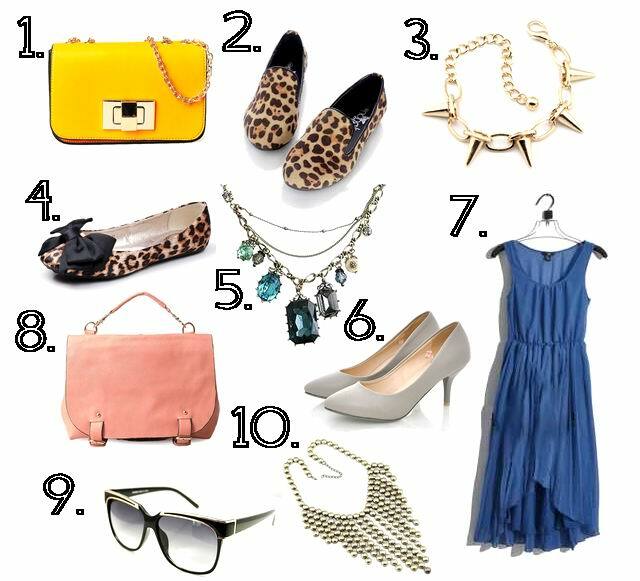 Here are some of my favorite picks from their store, mainly from LA and London catwalk. matters but value. If you're a value hunter too, Goodkoop is the right place for you. Your blog is awesome, btw! Awesome finds by the way. Such trendy! Like the yellow bag! Just checked out goodkoop - they have some pretty nice things for little money! Thanks for the tip :) ! Yes, I found good and cool collection here. Online shopping is also a popular option for consumers seeking an outfit for a special occasion who have not been satisfied with the options they found available to them in local traditional stores. After browsing so many items, they will bought one amonf the all who is best for them. Love those teal loafers, and studded platforms! Great post dear. Would u like to follow each other? THOSE ARE ALL AMAZING THINGS! Loved every single thing!